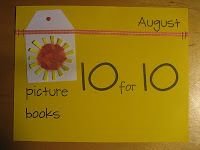 Picture Book 10 for 10 2015 Event! Characters with Determination and a Growth Mindset! 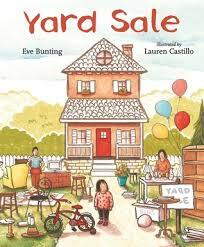 Thank you Cathy Mere and Mandy Robek for hosting the Annual Picture Book 10 for 10 Event! To read everyone's posts, be sure to follow the hashtag #PB10for10 on twitter too! Each year, I always read aloud picture books that have inspiring characters who persevere, demonstrate determination and have a growth mindset! 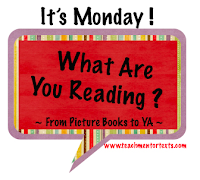 I think it is so important to teach students the concept of a growth mindset right from the beginning of the year and what better way to start than through picture book read alouds! Since I'm always on the lookout for new picture books to read aloud, I am a frequent flier at book stores especially during the summer. 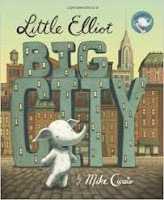 During my visits I came across 5 new picture books with determined characters! 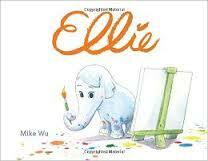 Ellie, a baby elephant, is determined to contribute to help save the zoo by learning how to paint. Little Elliot loves cupcakes and wants to order one badly at the store, but because he is small, he isn't seen by the cashiers. He is determined to get a cupcake one day and as he discovers a way, he also meets a new friend too! 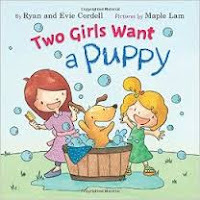 This book is actually based on a true story of two sisters who wanted to adopt a dog badly - love true stories! Cadence and Emi want a dog badly and are determined to convince their father that it is the right decision to make. 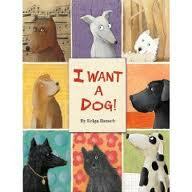 Throughout the story, they are persistent, creative, and convincing in making their argument to adopt a dog! This is not only a great book to read about determined characters who have a growth mindset, but also as a mentor text during argument writing units! This is such a cute and fun story to read aloud! Little Louie is trying so hard to tell his story, but the readers are making messes along the way by spilling food, drawing on the pages, and making smudge prints. Louie is not happy with the readers and almost gives up telling his story because he figures, "what's the point?" with all of these messes. But…instead, he continues on with his story and is determined to finish telling it no matter what gets in his way! This would also be a great read aloud at the beginning of the year when talking about how to respect books as readers and take good care of them while reading. 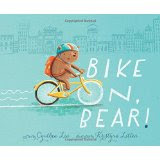 Bear feels confident that he can do almost anything, but doesn't know how to ride a bike without training wheels. He is determined to learn and is completely motivated too! He makes a plan and follows it through until he has achieved his goal. This is a fun book to read aloud and kids will definitely enjoy it and will be able to connect to how it feels when learning something new. This is an upcoming new book that will be published on September 8th. I have already pre-ordered a copy because I read so many great reviews about it and love all of Jarrett Krosoczka's books! 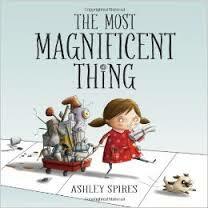 Based on the book trailers and reviews, it is a perfect book to read aloud when discussing perseverance and growth mindset. 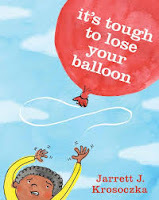 Throughout the book, there are situations that kids are faced with such as melted ice cream and lost balloons and how having the right attitude can help overcome the hurdle. As I read the reviews and descriptions of the book, I can't help but think of the popular saying: When life gives you lemons, make lemonade! I am so looking forward to this book!! Below are 4 titles that I have read aloud in my classroom at the beginning of the year and students love! They are my go-to books when discussing perseverance and growth mindset in the classroom! 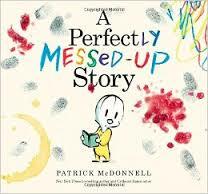 This is a perfect picture book to read aloud to discuss the concept of having a growth mindset vs. a fixed mindset. 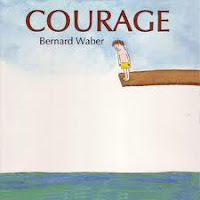 In this story, a little girl is trying to create something magnificent, but continues to struggle. She gets frustrated and even walks away, but ends up going back to her project to attempt it again and again. This text shows the reader that ideas we have in our minds or projects we attempt to do, won't always turn out the way we want them. However, it is important that we continue to try and not give up on our dreams, plans, and goals. This is a perfect book to read aloud at the beginning of the year when introducing the concept of having a growth mindset and what it means to persevere. I can easily see this book being a mentor text throughout the year, being revisited again to discuss the power of mindset. 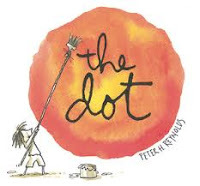 I always read The Dot on the first day of school to begin the important conversations of growth mindset by talking about Vashti and noticing how she didn't think she could draw at the beginning, had little confidence in herself, and became very frustrated. Then we discuss how Vashti changed at the end and began to work harder and built up confidence in herself as an artist. This discussion leads us to the power of the word YET and how when we can't do something, we should say, "I can't do this YET" instead of "I can't do this." In this book, Lisa, the main character, desperately wants a dog but her parents repeatedly say no, no matter what she does or says to them. Rather than giving up after awhile, she takes the creative route and decides to post signs in the park to take care of someone's dog and be a dog walker. I love this book because it has an unpredictable solution, shows how the character is perseverant when reaching her goal, and is a great model of the "Somebody...Wants...But...So.. strategy."